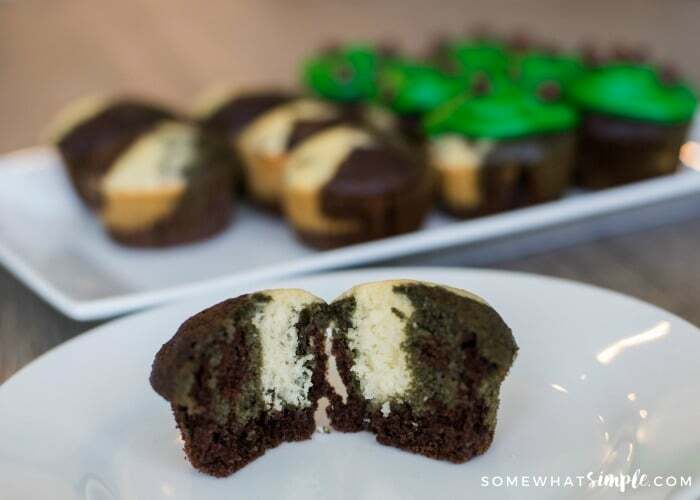 Army camo cupcakes are a fun way to celebrate those serving our country in the military. Perfect for any military themed party, these cupcakes are easy to make and taste delicious! These cupcakes are an easy dessert for an army birthday party, an army themed baby shower or a welcome home party for someone serving in the military. We made some Red, White and Blue Cupcakes for 4th of July one year that my kids LOVED. They are easy to put together and result in a fun, swirly, colorful cupcake. 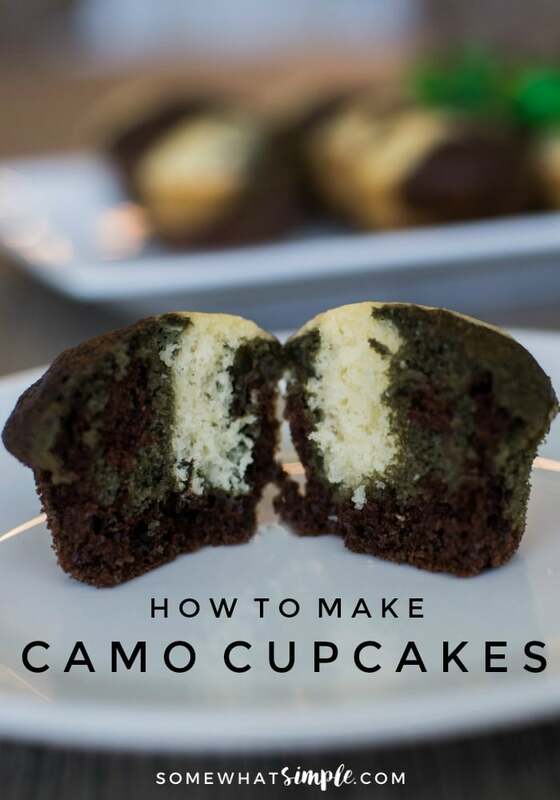 I used the same technique to make Camo Cupcakes for Ethan’s Army party. (He thought I was pretty much the coolest mom ever!) Do you want to win your own “Mom of the Year” Award? You’ve come to the right place! 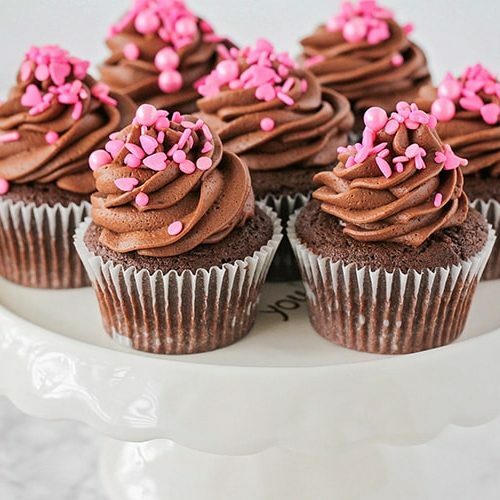 You can leave these cupcakes as-is, or decorate them with some frosting and toppings. (Those small, green, plastic army men toys, look darling! … I mean, “tough!”) You can use my favorite cream cheese frosting and add green food coloring to it or you can just buy some frosting from the store. I love cupcakes because they are so versatile and can be decorated to celebrate almost any occasion. 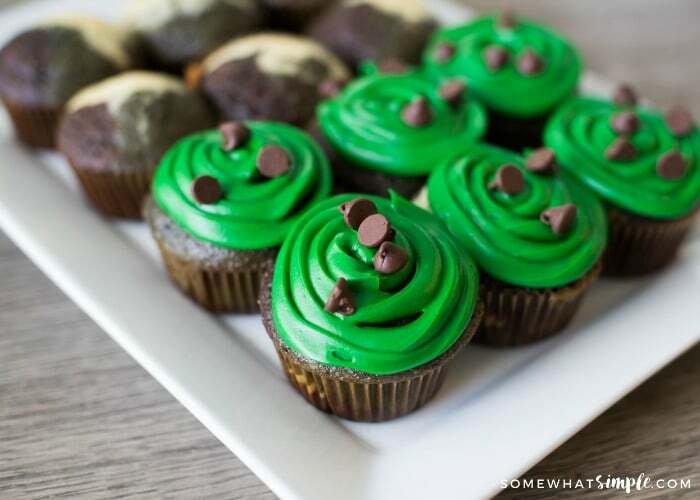 If you thought these army cupcakes were cute, here are a few more festive ideas to try. Mix your chocolate cake mix and your white cake mix in 2 separate bowls according to the package directions. 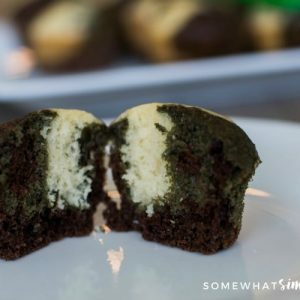 Combine 1/3 of the chocolate cake batter and 1/3 of the white cake batter in a 3rd bowl, then add several drops of green food coloring and mix well 'til you get the army green color you are looking for. Spoon 1 heaping spoonful of each mixture into your cupcake liners. So fun! Thanks for sharing your recipe with SYC. 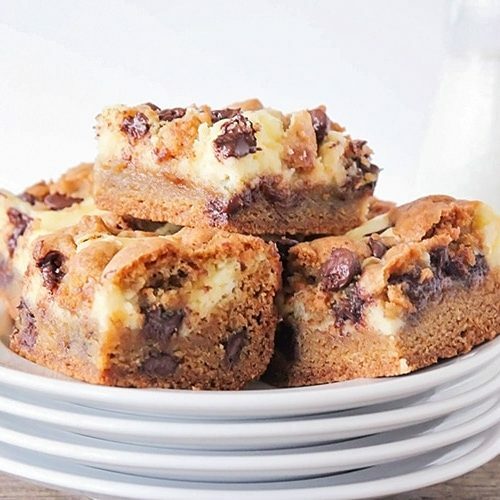 Anyway that I could use this recipe but instead of making cupcakes, do a 9X13 sheet cake? I would think you could use the same method, but you will need to make sure you use only half the batter of each box of cake mix, unless you plan to make 2 cakes. Good luck! These turned out so super cute! They look like something that my boys would have LOVED when they were little. So this idea totally saved me!! So simple!! I am having a military themed baby shower and the girl who was making the cupcakes couldn’t do it for me! This is amazing! I’m going to make these for my son’s birthday. I was just wondering how many cupcakes you got from this recipe. They look so cute!! I can’t remember exactly how many cupcakes I got, but it was just about true to the recipe on the box- if each box says you will get 24 cupcakes, I got 48 total from using 2 boxes. Hope that helps! These are awesome!!!! Perfect for a boy’s party! Love this idea, I’ll have to remember it! I always seem to have a much harder time coming up with “cute” ideas for boy’s parties! Wow, what a great idea! I’m destined to have boys when we have kids so I’ll definitely have to pin this so I remember! what a great idea! I have a friend who is throwing a welcome home party for her brother who is in the military… these would be perfect!